PacaPod was created by Jacqueline Waggett, a clothing designer and mum of two girls. Jacqueline was disappointed by the range of changing bags on the market and soon got fed up of losing everything that she needed in the pitt of her bag. Jacqueline put her design skills into practice to create PacaPod. 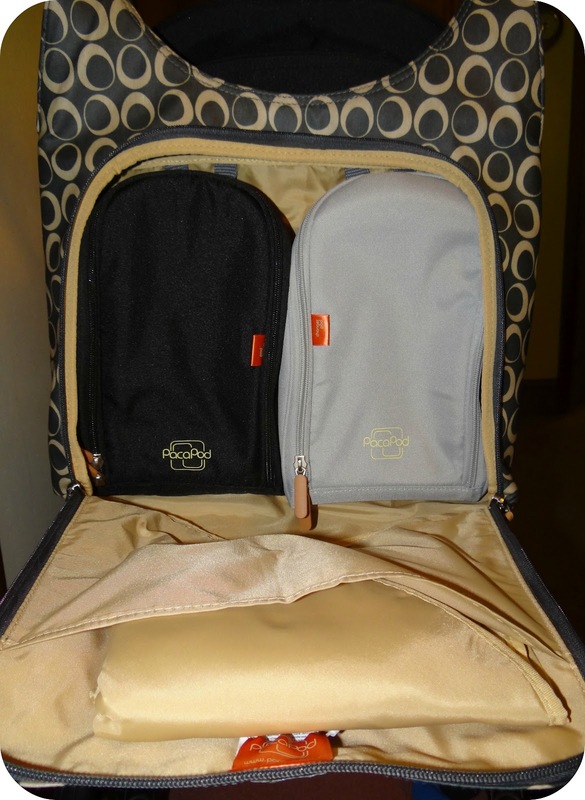 PacaPod is now a highly successful brand and is used by celebrities such as Jason Manford and Jo Whiley. PacaPod is sold nationwide in Mothercare, John Lewis and Amazon. What does Jacqueline have to say? I have been sent the rather lovely PacaPod Almora in the new Gunmetal shade, to aid my at times hectic lifestyle. I sometimes don't know whether I am coming or going, did I pack that snack or did I forget it? I can't see it...but that doesn't mean it is not in the changing bag... somewhere!? The PacPod Almora is a treasure trove of compartments, every mother's dream. It boasts 3 outer pockets one of which even has a key fob on elastic so you will always know where your keys are (another little item that ALWAYS disappears when you really need them). There is a smaller pocket on the back of the bag with a magnetic shutter. This makes it so easy to access as and when you need. The perfect pocket to keep your phone or a babies dummy. 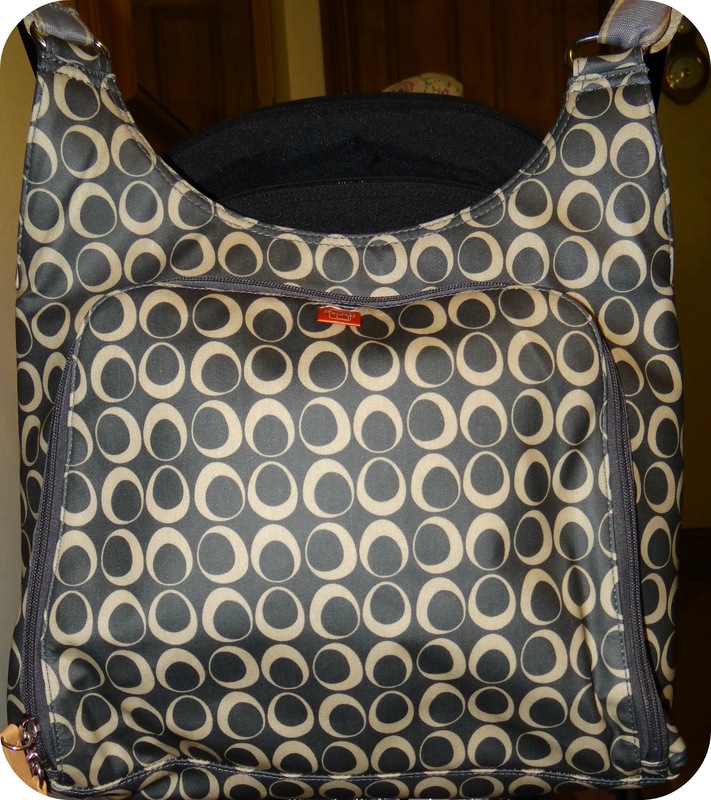 There is a compartment for all your bit's and pieces such as your purse and hairbrush, whatever you would usually take along with you in your handbag that is completely seperate from everything baby. It is your compartment to do as you please. So where does all the babies bit's and pieces go? Well that is the magic behind PacaPod. If you unzip the front of the bag you will find two pods. One pod is for all your babies feeding needs and the other is for changing purposes. Both the pods are the same size and very spacious. 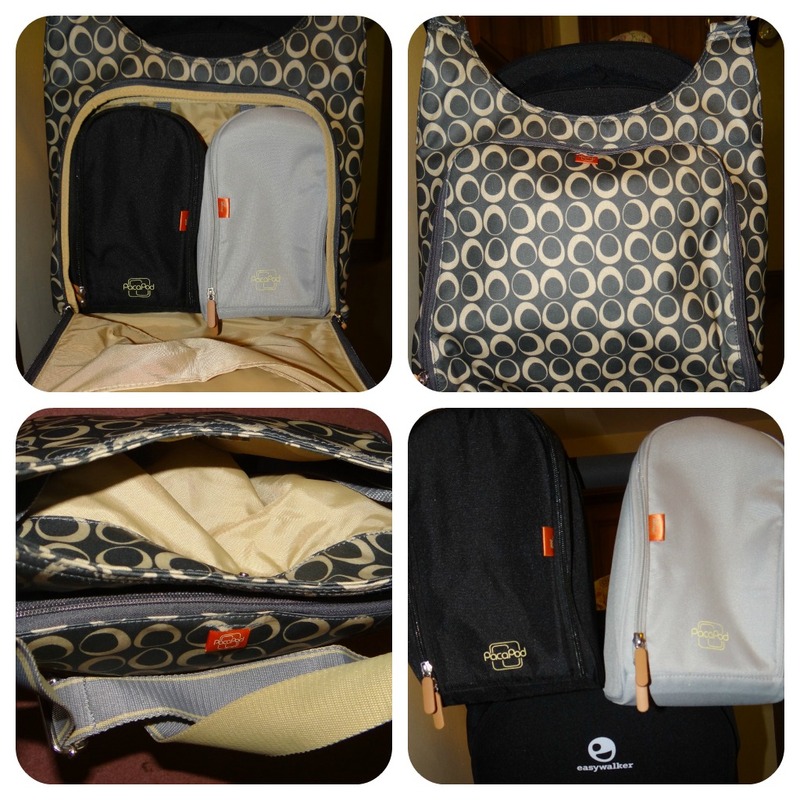 The Changer Pod is Grey and boasts it's own pockets and elastic straps to store nappies and wipes. 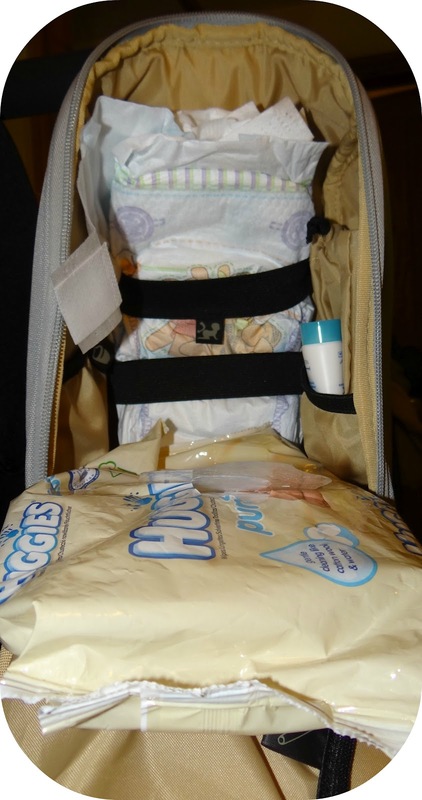 You can put everything you would need for changing your little one's nappy in there such as creams and even a change of clothes. There is even a little pull tie wet bag should you need it, and let's face it with a little one it is bound to get lots of use! On the outside of the changer pod is a separate compartment for dirty nappies, I thought this was fab as I have often been caught with Leo's nappies after we cannot find a suitable bin to dispose of them in. Having a designated area away from everything else is just what we needed. In my changer pod I have managed to store four nappies, a pack of wipes, an everyday pot of nappy cream, nappy bags and a change of clothes for Leo. The Feeder Pod is Black, insulated and will hold up to a maximum of Four bottles, which is ideal if you are in the early days with a newborn. The Feeder Pod will keep the milk warm for up to 3 hours, and there is even a insulated bottle cover. We are at the point now where we take out cold cow's milk for Leo and we need it to stay cool for as long as possible, so the feeder pod is the perfect place for them. With Leo now being 15 months old, we are getting past the stage of needing milk during the day, but I tend to take one if we are going out for the day, just in case. Our Feeder Pod usually consists of snacks for Leo, lunch if he requires it and a drink. We have had no problem fitting everything in, even on the days where I do take out a bottle of milk. 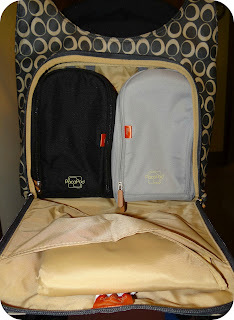 The Two Pods attach inside the bag via velcro straps and sit securely together until you need them. If you didn't need to take out the entire bag, you can just take the pods and attach them to the buggy handle by looping the velcro around the bar. In the same compartment as the Pods you will find a compartment directly in front. 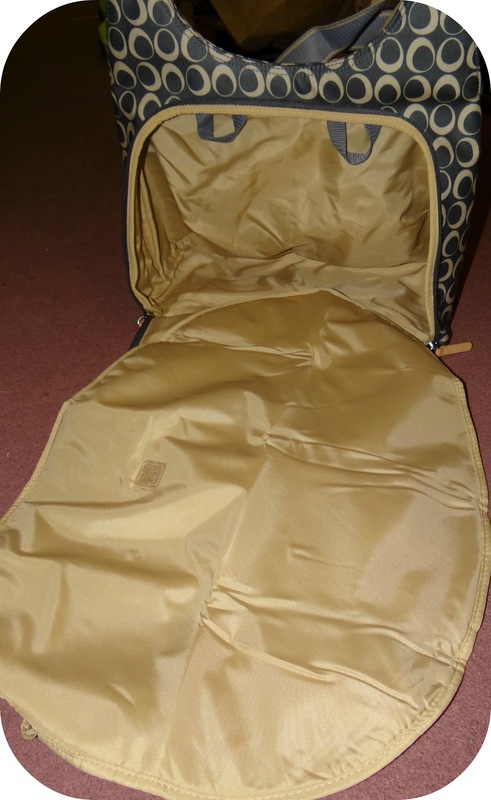 In this compartment is a padded changing mat. The mat is generously sized and is so easy to whip out when you need it, along with the Changing Pod of course. I have been really impressed with the pods and I have found it a very effective way to get everything you need around with you, and let's face it there is so much extra baggage when you have a little one in tow, so you do need somewhere to organise everything. I have managed to fit absolutely everything for a full day out in my PacaPod, you could even compare it to Mary Poppins magical bag. What I really love about the PacaPod is ultimately that everything has it's place, and you know exactly where to locate your packed lunch to Leo's nappy's. The pods eliminate clutter in the bag and do a great job of keeping everything as you packed it, and when you are out and about, in a rush to find your keys or the baby wipes for a toddler emergency...You know exactly where to find them. There is an extensive PacaPod collection that you can view over at the official PacaPod website but if you have set your sights on the beautiful Almora, you can pick one up from PacaPod for £75.00 and even benefit from free delivery if you are within the United Kingdom. 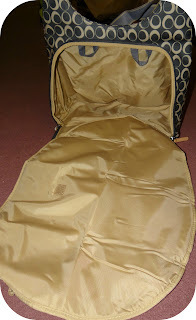 Disclaimer: I was sent the PacaPod Almora Changing bag for the purpose of this review. However all views and opinions expressed are completely honest and my own.